I’ve had Birmingham on my mind recently, as a conjunction of the political and the personal. No, the Birmingham on my mind is the English Birmingham, a big old industrial city in the West Midlands. So what’s been going on in Birmingham? First the political. In Britain, it’s not just no-go zones. There are actual cities like Birmingham that are totally Muslim, where non-Muslims just simply don’t go in. That was an unfortunately absurd thing to say. In the 2011 national census 22 percent of Birmingham’s inhabitants identified as Muslim, 46 percent as Christian, 32 percent as other religions or none. Birmingham is Britain’s second most populous city at 1.1 million. The municipal boundaries encompass 103 square miles, putting Birmingham midway in size between Sacramento and Salt Lake City—but in, of course, a much smaller country. For non-Muslims to be excluded from a place that size would be astounding. The worst of it, from a VDARE.com point of view, was that Emerson’s clumsy remark was a gift to the multiculturalists, transnationalists, and Muslim supremacists, who were soon hooting and shrieking all over the internet. A journalist at the far-left Guardian newspaper started the Twitter hashtag #FoxNewsFacts, and the twittosphere quickly filled up with mockery, not much of it very funny. These two little episodes generated much comment and analysis, of quality both high and low, on the whole subject of no-go-areas and local enforcement of shariah law in European cities. As best I can judge after a couple of hours reading through this material, the stories about no-go zones are somewhat overblown. The famous French government list of Zones urbaines sensibles (sensitive urban neighborhoods), for example, marks these neighborhoods as prioritized for slum clearance. No doubt they are bad areas with a lot of crime and vandalism, and predominantly African and/or Muslim; but I can’t find any evidence that police stay out of them. There are cities in the Midlands where the police never go because they are never called. They never hear of any trouble because the community deals with that on its own … It’s not that the police are afraid to go into these areas or don’t want to go into those areas,’ he said. ‘But if the police don’t get calls for help then, of course, they won’t know what’s going on. Last December, three members of a self-styled ‘Muslim Patrol’ vigilante group were jailed for harassing, intimidating and assaulting people in East London while claiming they were enforcing sharia law. And plainly the police had gone into the area to make those arrests. Prof. Daniel Pipes, who believes he coined the phrase “no-go zones” in this context in 2006, has since backed away from it. Pipes now says he was mistaken. In 2013, after traveling to several listed Paris neighborhoods and mainly immigrant and Muslim areas of five other European cities, he wrote: “For a visiting American, these areas are very mild, even dull. We who know the Bronx and Detroit expect urban hell in Europe, too, but there things look fine … hardly beautiful, but buildings are intact, greenery abounds, and order prevails … Having this first-hand experience, I regret having called these areas no-go zones,” he wrote. Instead of no-go zones, I propose semi-autonomous sectors, a term that emphasizes their indistinct and non-geographic nature – thus permitting a more accurate discussion of what is, arguably, West Europe's most acute problem. Pipes is a Conservatism, Inc. stalwart, but I know what he means. At any rate, I know Birmingham. Here we get to the personal. On January 3rd my Uncle Fred died aged 92, at his home in Birmingham. It was a particularly sad death for the family. Fred was the husband of Muriel, my mother’s youngest sister. Mother and Muriel were at the tail end of a big old West Midlands working-class family: 13½ kids, of whom 11½ survived to adulthood. The half was “Uncle” Jerry, illegitimate child—a “bye-blow” in the local dialect—of Aunt Sally, raised with the rest as a brother. Muriel died in 2013, last of the siblings by blood; Fred was the last by marriage. Muriel and Fred were thus first cousins once removed. Probably for that reason, they had no children; and because of that, and having kindly natures, they were available for child-minding duties as required. During my childhood in the 1950s I was often parked with them at their house in the Aston district of Birmingham, 55 miles west of my own home in Northampton. Sixty years ago, when I got acquainted with the area, Birmingham was entirely white English, as was Northampton. Aston was respectable working-class: the men employed at nearby factories (automobiles, electrical equipment), the women mostly at home. I roamed around quite freely, as kids did in those days. There was a store on the corner of Prestbury Road and Whitehead Road where I used to buy candy. It was run by a man named Smith, I think. It was there that I last spent a farthing—the coin ceased to be legal tender in 1961. That store is now the Bangla Bazar, and the whole area is subcontinental Muslim: Pakistani and Bangladeshi. There is a mosque on the next block. Whether its theology is jihadist or not, I don’t know. The largest ethnic group [in the 2001 census] was Asian at 49.8 percent. More specifically, the Pakistani ethnic group was the largest at 27.2 percent. White British was the second largest ethnic group at 26.00 percent and Black British was third with 21.51 percent … Islam was the most prominent religion in the ward with 44.3 percent of the ward’s population stating themselves as Muslim. Christianity was the second most prominent religion in Aston at 32.4 percent. The ethnic make-up of the area drastically changed in the 1950s and 1960s with immigration from the Commonwealth. Most of the immigrants were from the Indian subcontinent, though a significant number were from the Caribbean. 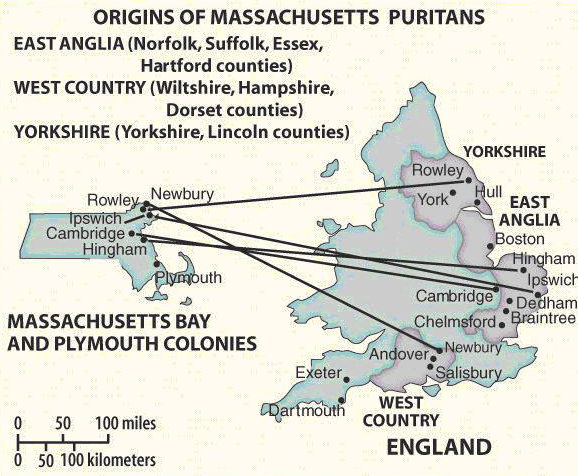 Remember, this is an area that had seen no significant immigration for more than a thousand years. As Street View also shows, though, the new inhabitants of Aston are in no hurry to assimilate, after sixty years. Muriel and Fred never moved as the neighborhood transformed itself around them. They spoke well of their Muslim neighbors; although as old people, it was the older ones they knew, the glad-to-be-here first generation of immigrants. Of the subsequent, absimilation-prone generations—now exporting fighters to ISIS in Syria—they did not know much. Thinking back over those years, and reading about them in David Kynaston’s magisterial histories of post-WW2 Britain, it seems as though the nation was hell-bent on destroying itself. The destruction was actually physical. 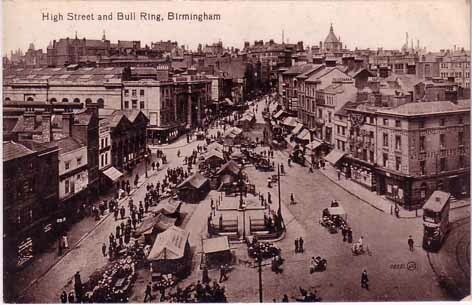 The open-air market at the center of Birmingham, the Bull Ring, was swept away in the late 1950s, replaced by a more traffic-friendly (and, of course, developer-friendly, but much less shopper-friendly) mass of malls, escalators, and underpasses. This development proved so unpopular at last, the Bull Ring was re-redeveloped in the late 1990s with a more human dimension. It was the same all over the city. The splendid municipal library on the Birchfield Road in Aston, where I became addicted to science fiction, has gone in the name of some road-widening scheme. I can’t see the necessity, though I suppose some contractor made a lot of money. Along with the physical destruction and the population replacement, there was cultural vandalism, too. I am ashamed to say I participated in that. One of my first assignments as a computer programmer in London was to assist in the conversion from the old pounds, shillings, and pence (and halfpence, though no longer farthings) to decimal currency in 1970. The change was not necessary. The mainframe computers of the time could cope perfectly well with the traditional currency. The only trap for programmers was zero suppression suppression on the shillings, but you soon got the knack of it. Britain was from the late 1950s on seized with a kind of passion to sweep away the national identity: the fine old buildings, the currency, the citizens themselves. Everything had to be replaced. Why? I wish I could understand. Fox talking head Steve Emerson was wrong on the absolute level that the transformation of Britain has reached, give or take London’s Muslim Patrol vigilantes. But he was right on the trend. And where will it end?